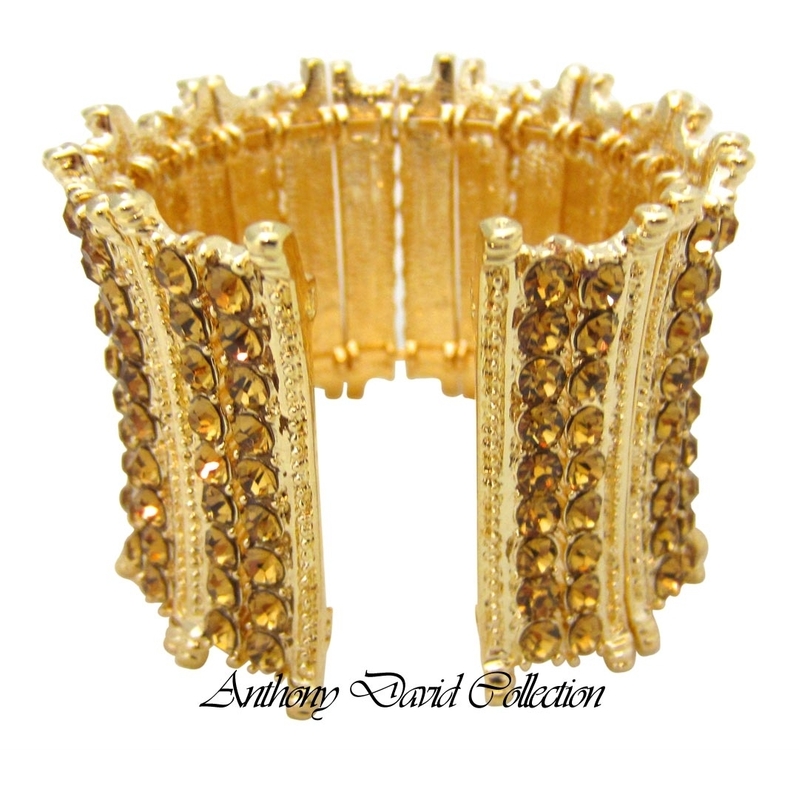 This gold crystal cuff bracelet is the perfect compliment to the Anthony David crystal evening bag collection. It is has a stretch design which is easy for slipping on your wrist and has Swarovski crystals which give a beautiful sparkle. 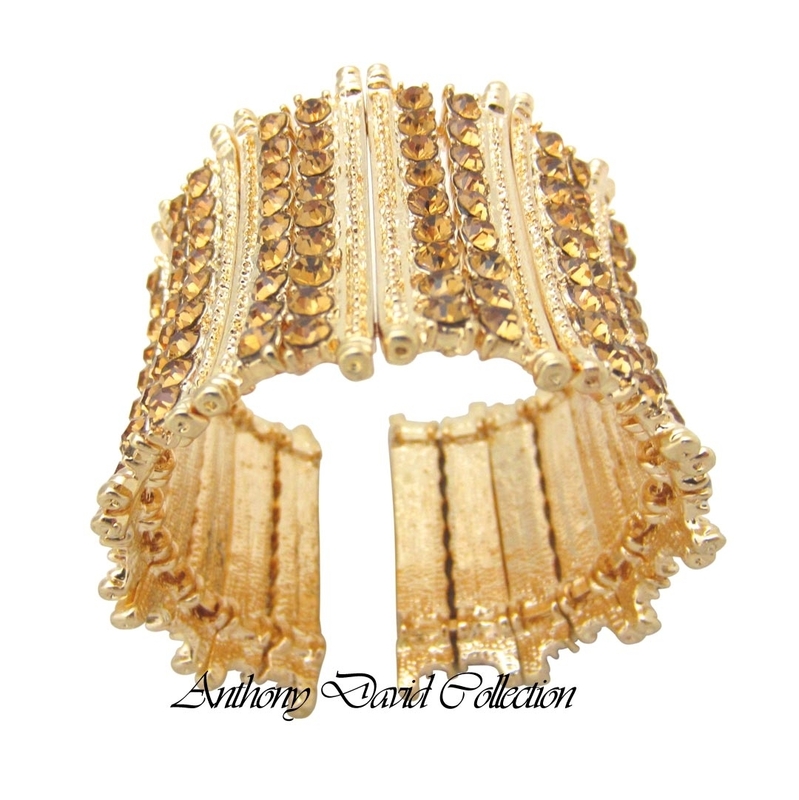 It can be worn for a black tie event or to dress up your favorite blue jeans and heels. Stretch design for easy slip-on.